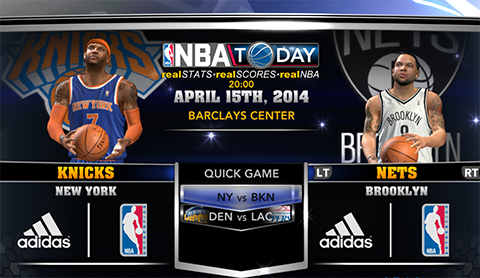 2K Sports has released another roster update for NBA 2K14 in preparation for the 2014 NBA playoffs. The latest update adds Greg Smith to the Bulls and Melvin Ely to the Pelicans. It also updates the ratings of a number of players. The Chicago Bulls have waived forward Tornike Shengelia. The Chicago Bulls have signed free agent Greg Smith for the remainder of 2013-2014 season. The New Orleans Pelicans have waived center Greg Stiemsma. The New Orleans Pelicans have signed veteran forward-center Melvin Ely. Injuries to Marvin Williams, Josh Smith and Will Bynum were reflected, while Dwyane Wade, Dwight Howard, Tony Parker, Isaiah Thomas, Jamal Crawford, Patrick Beverley, Jordan Farmar, Wilson Chandler, Kevin Martin, Tayshaun Prince and David Lee return from injuries to active status. Players like Anthony Davis who ended the season injured will not be returned to active status until the last roster update for NBA 2K14, which comes after the NBA Finals.